The snow in my backyard is at least four feet tall in some places. I’m having trouble bringing to mind images of plants that live outside, so I’ll stick with my first very-own plant, one that lived in a cheap green pot, and only flowered once. Maybe. I couldn’t remember what the plant was, except that it had tall leaves, and a white flower. I asked Google what the plant was. Then I texted to ask my mom what the plant was. She’s my plant dictionary. Sorry Google, mom won this round. You just showed me spider plants, and tiny white flowers. I think the bulb was a birthday gift. Perhaps it was a Christmas gift. Maybe it was Easter. I can’t remember. I wasn’t unfamiliar with the wonder of a tiny green shoot poking up through the soil, but this one was mine, and I’m sure I checked it every day. When it finally flowered, I’m sure I showed everyone. Those flowers are stunning. The flower eventually died, and then I started to stare at the leaves, talk really nicely to them, and otherwise attempt to will my pretty plant into flowering again. I might have even petted the leaves. This is starting to move towards fiction; I can’t remember that much from my childhood. It’s been four moves and three cats since I planted that bulb, and I’m not sure where it went missing. Most likely it didn’t survive long enough to even attempt the first move, but I haven’t a clue. Maybe one of the first two cats ate it. It definitely wasn’t around long enough for number 3 to eat it. He would have. 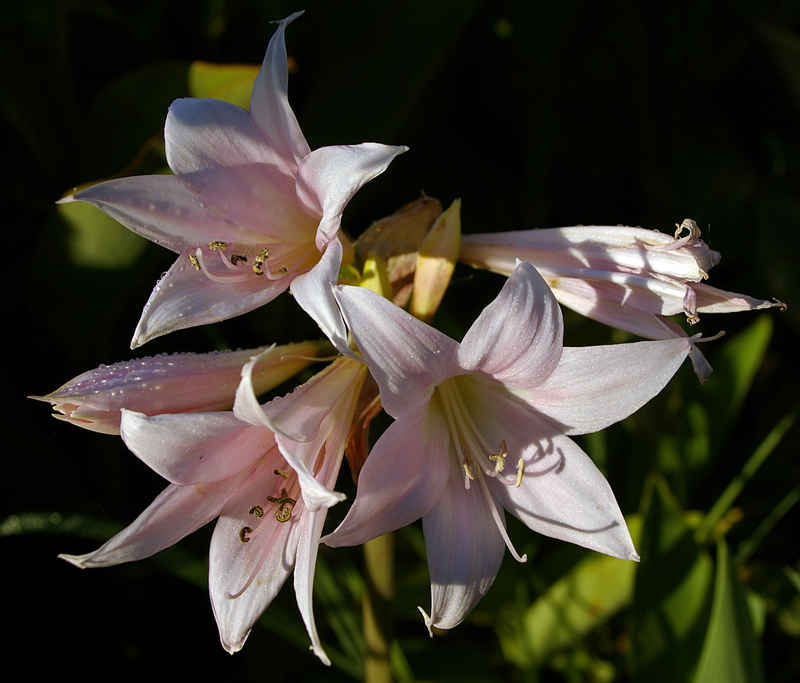 My first plant was a white amaryllis; thank-you to Gayla at You Grow Girl for the push back into a wonderful memory. 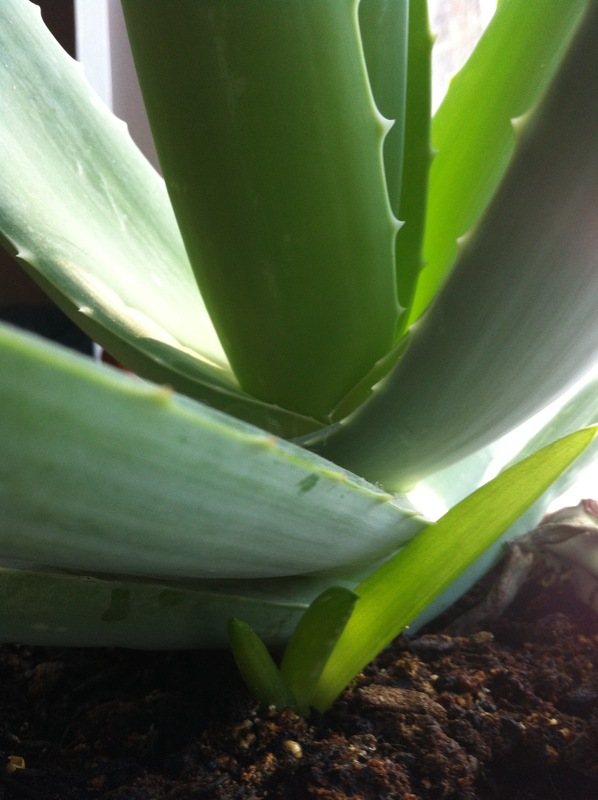 I’ve since moved on to a jade plant, aloe vera (x2), dracena and a boston fern. They’re all beautiful even if they don’t ever flower for me. I’ll save the flowering plants for the outside garden. 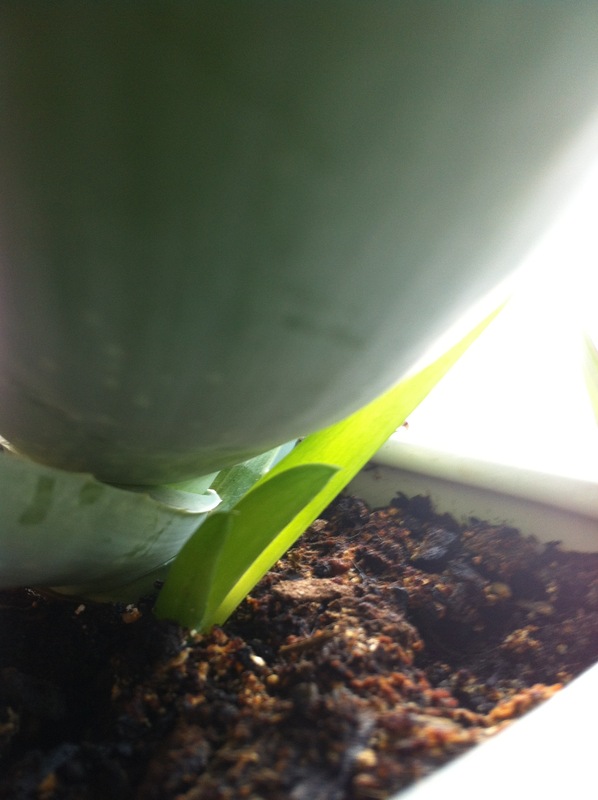 Categories: Grow, Think | Tags: amaryllis, Grow Write Guild, houseplant, indoor plants | Permalink. Today was Seedy Saturday, here in my town, and I was out chatting with community members about the gardens I helped to run last summer, and trying to keep myself tied to my chair so as to avoid the temptation of tables full of local, organic, heirloom seeds. I succumbed and, bought a packet of black cherry tomato seeds. Today was also delightfully warm. Sunny, melty, slushy, feels like spring, and it’s only March 2 kind-of-warm. 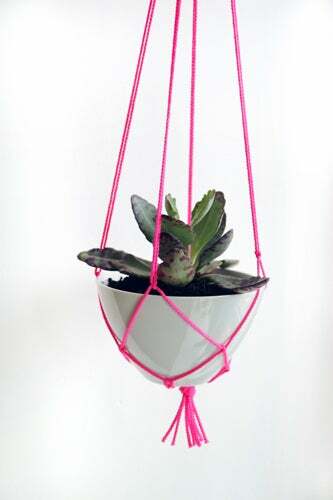 Abandon plans for homework and housecleaning in order to dream about plants and make crafty plant hangers kind-of-warm. I’d recently seen this on Pinterest, and decided that enough was enough, I needed to make something to hang plants in my sunny kitchen window. Did I mention that the sun was out today? So, inspired by the pretty pink hanger, but lacking pink cord, and being too caught up in spring fever to try to dye the leftover clothesline I found in my junk drawer, I started in on a triple layer plant hanger. 1. Cut four pieces of clothesline, in almost equal lengths, and fold them over to make 8 strands. 2. Tie an overhand knot to make a hanging loop at the top. 3. For each pot holder, tie four square knots (each using two strands), about 8 inches below the overhand knot. 4. Take one strand from two adjacent knots in the first level, and tie a square knot with them, a couple of inches below the first square knots. Repeat with remaining 6 strands. 5. 2-3 inches below the second row of knots, tie an overhand knot with all eight strands. 6. Repeat steps 2-5 for each tier you want to make. Categories: Grow, Make | Tags: houseplant, macrame, organic heirloom seeds, plant hanger, tomato | Permalink.